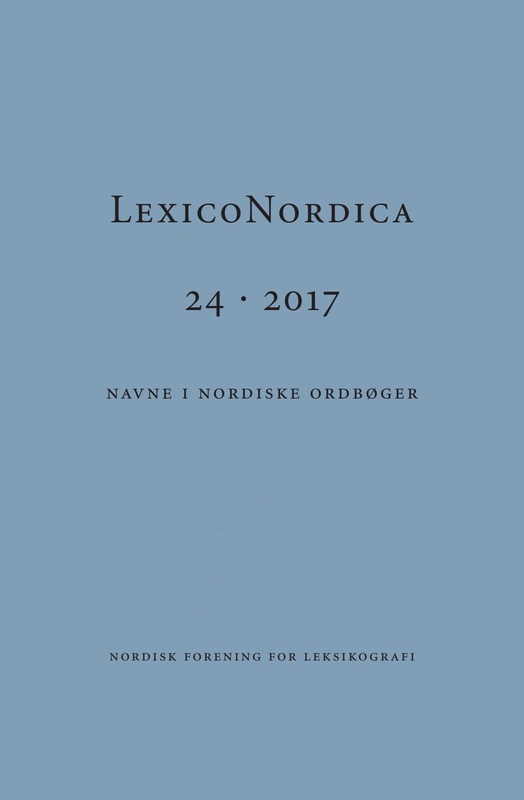 This article compares the treatment of a certain kind of expression in two Norwegian dictionaries, Norsk Ordbok (NO) and Det Norske Akademis ordbok (NAOB). The expressions show place-name structure on the surface, but turn out to have appellative content. A group of them are used to denote places where some specific natural resource is customarily exploited (especially compounds with -hø ‘(cupola-shaped) mountain’ and -haug ‘hillock’). Many have a somewhat slangy stylistic value. NO includes more of these words and expressions than NAOB. This is due to the fact that the material in NO covers a lot more data from dialects.